A tragic polar bear trapped in a mall in Guangzhou China has been offered a new home after his heartbreaking plight made worldwide headlines. Yorkshire Wildlife Park in Doncaster, England (pictured above) — is making this public offer to Grandview in Guangzhou, China after being alerted to the issue by Animals Asia and its ongoing campaign to close the facility. 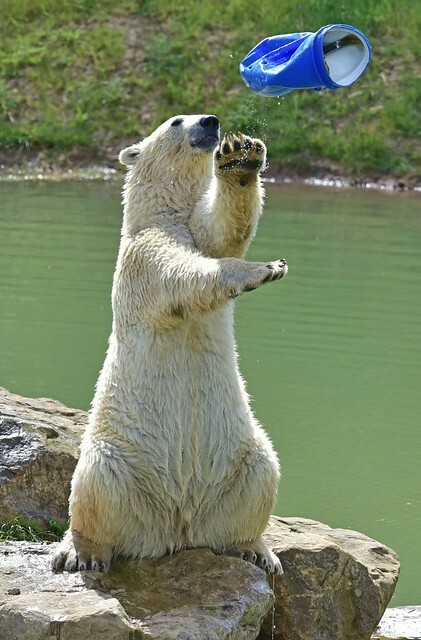 Animals Asia has collected over half a million signatures demanding the closure of the Grandview Aquarium, which includes the bear called Pizza, as its star attraction. The campaign has featured on CNN, BBC, Al Jazeera and in newspapers across the globe with the media dubbing Pizza, “the world’s saddest bear”. 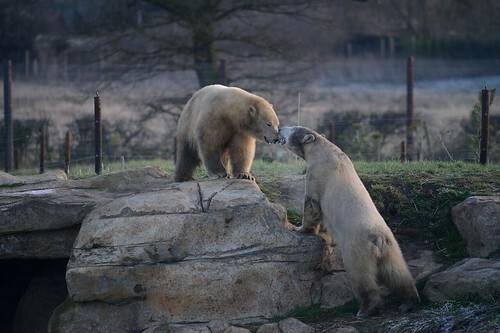 Yorkshire Wildlife Park’s “Project Polar” (pics below) is a specially created habitat for polar bears. 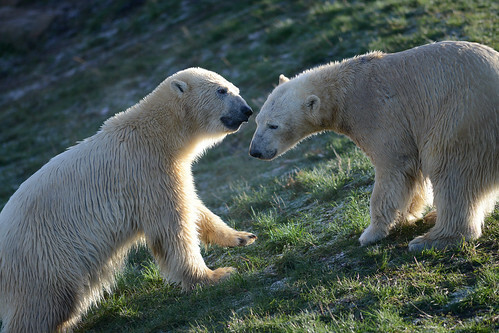 Its aim is to develop as an international centre for the conservation and rehabilitation of polar bears both in captivity and in the wild. The ground-breaking reserve is in total contrast to the cramped Grandview shopping mall facilities. 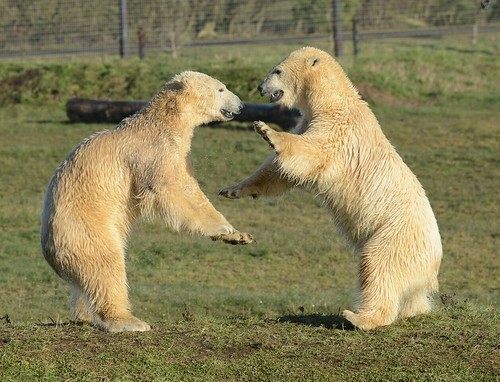 At Yorkshire Wildlife Park, Pizza would enjoy 10 acres and two lakes — the largest lake is over eight metres deep allowing bears to dive as they would in the wild. The offer is being made on the basis of Grandview agreeing not to replace Pizza with another polar bear or any similar-sized animal. Beyond that, Animals Asia has offered to give its support for free to work to advise and advocate on behalf of the remaining animals to secure better ongoing care. No payment has been offered for the bear himself — with the fear that any funds could be used to buy more animals. However, it is hoped that positive headlines could prove to be priceless for Grandview following months of negative publicity. The cost of transferring the bear will be raised if the offer is accepted. It is also noted that the movement of animals between countries is rarely straightforward so if an agreement can be reached then it will be up to both parties to arrange and secure the transfer in the shortest possible time.